I actually had the chance to eat it in Austria. Originally the cake comes from Vienna, I did have the chance to eat it in Vienna, but, gasp, didn’t like it that much. The one I really enjoyed a lot was in Salzburg, the town Mozart is from. Below picture was one of the first pictures I took with my current camera, the Sony Nex7. If you would like to learn more about food photography, please check these blog posts. I looks great, doesn’t it? 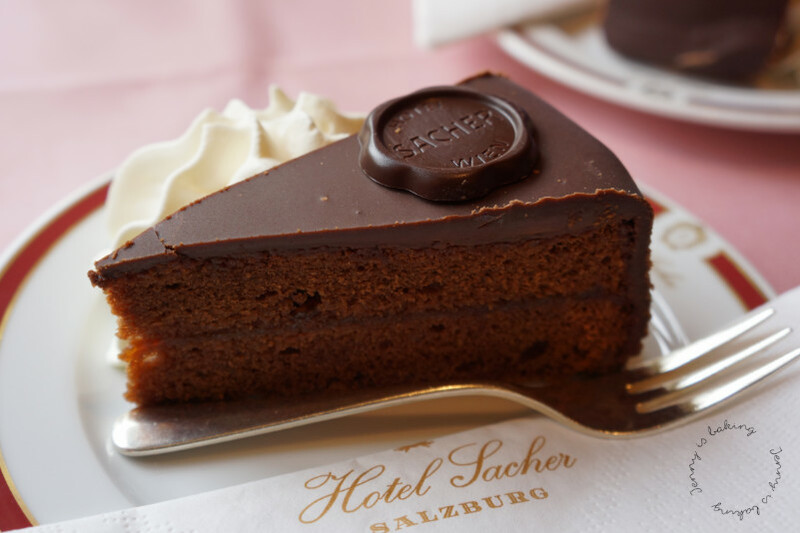 Austria is busy exporting its Sachertorte. I can’t blame them for doing that. Because yes, you want to dig into this super rich cake, believe me! What I like best about this rich chocolate cake is that you can actually export it because it gets better over time. 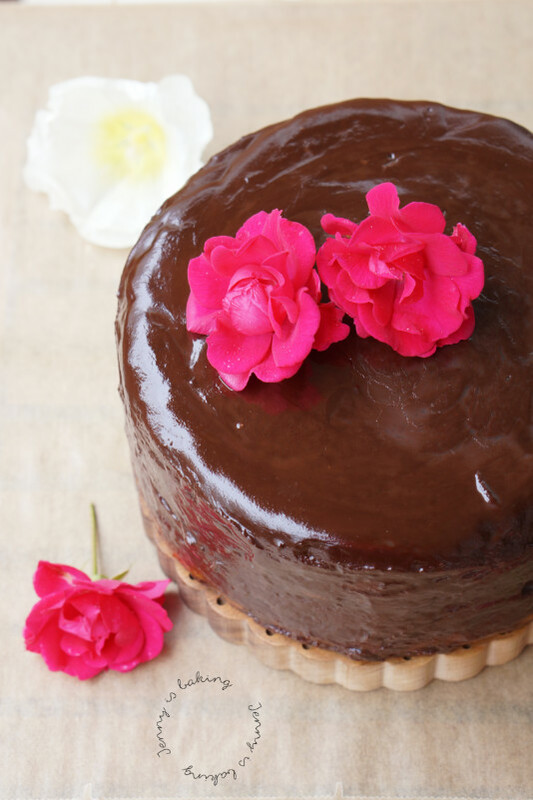 The apricot jam seals everything and just to be sure, you pour a thick layer of chocolate ganache on everything, because more chocolate is even better, isn’t it? I tried several recipes before settling on this one. It is by an Austrian, maybe that’s why it is so good. It does contain a lot of eggs, but please bear with me, it is so worth it. Below are some pictures of the making and as you can see, this is a rather tall cake. I made it in 23cm/9inch cake pans and boy, is it tall! About 8-9cm! I just love that! 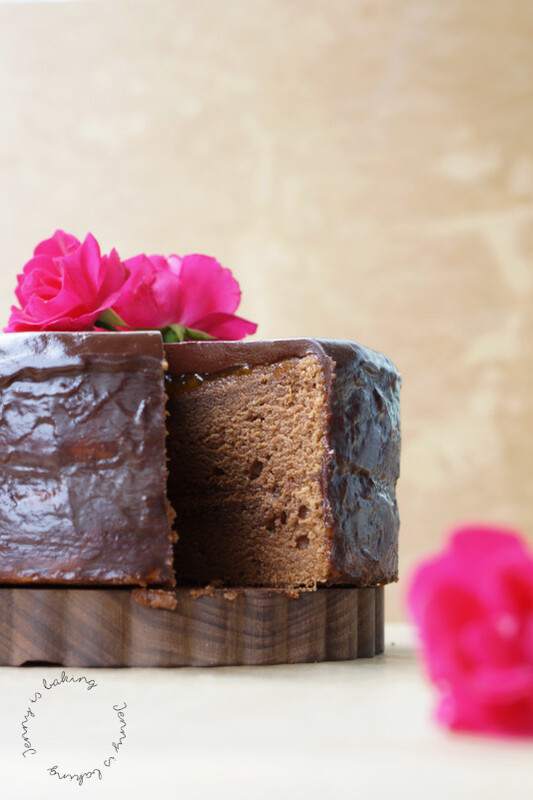 So are you ready for a very rich, spongy chocolate cake that just demands you to eat more than one slice? For the cake preheat oven to 200 degrees Celsius and line two 23cm/9inch cake pans with parchment paper, grease the sides. Melt the chocolate on low heat on the stove while stirring. Set aside. Then cream the soft butter with the icing sugar in a bowl until fluffy and a bit lighter in color. Slowly add the egg yolks, one at a time until fully combined, add the cooled-off chocolate. In the largest bowl you have beat the ten egg whites. Beat until frothy and white in color, then slowly add the regular sugar. Beat on high until stiff, yet still pale in color, it should not become glossy, so this is different from making meringue. The egg whites should be stiff, silky, but matt in color. Add the egg yolk mixture and sift the flour on top. With a wooden spoon mix everything gently until you have a homogeneous batter, try not to overmix and to not let too much air get out of the beaten egg whites. Pour into prepared cake pans and bake for 10min, then lower temperature to 160 degrees and bake for an additional 40min. An inserted toothpick should come out clean. Baking time may be longer. Let cool and gently release from cake pans. For the filling measure 50 grams of the jam and bring to boil with 20 milliliters of water and 30 milliliters of rum (or 50 milliliters of water). Brush both cake layers with this syrup. Then heat up the rest of the apricot jam and brush again both cake layers with it. The jam seals the cake, so be sure to also use some jam for the sides, not only the top. Place the second cake layer on top of the other. For the ganache bring heavy cream to boil, take off the stove and put in the chopped chocolate. Stir until the chocolate melts. Let sit for about half an hour, then pour on top of the cake and on the sides. Let cool. You need to be sure that the eggs are at room temperature. This is really important. If you forgot to take out the eggs on time, place them in warm water for a few minutes while preparing the other ingredients. I have also successfully shipped this cake, it holds up nicely. Be sure to cover tightly in plastic wrap and as a second layer in newspaper. I also used cut-up egg cartons as a protective layer.